In 2001, with over 25 years of combined experience in Gas and Steam Turbines, Advanced Turbine Support, LLC was founded by Rod Shidler and Rick Ginder. We are proud to be a wholly owned, self-supported company. Advanced Turbine Support, LLC has Inspection Specialists strategically placed throughout the U.S. for assignments locally and globally, including clients in North, Central & South America, Caribbean, Europe, Asia and the Middle East. Our goal at Advanced Turbine Support, LLC. is to provide a thorough, unbiased, non-destructive evaluation (NDE) based condition assessment of combustion turbines, steam turbines and electric generators. In addition to the typical semi-annual or annual visual borescope inspections, our borescope inspection services have been utilized for baseline inspections, outage planning, pre-commissioning, post-overhaul, unit troubleshooting and warranty inspections. Our inspectors have been conducting visual borescope and non-destructive testing inspections on rotating equipment for the power generation utility industry since 1993. We carry American Society for Nondestructive Testing (ASNT) TC-1A Certifications in the Liquid Penetrant (PT), Magnetic Particle (MT), Ultrasonic (UT) and Eddy Current (ET) methods. 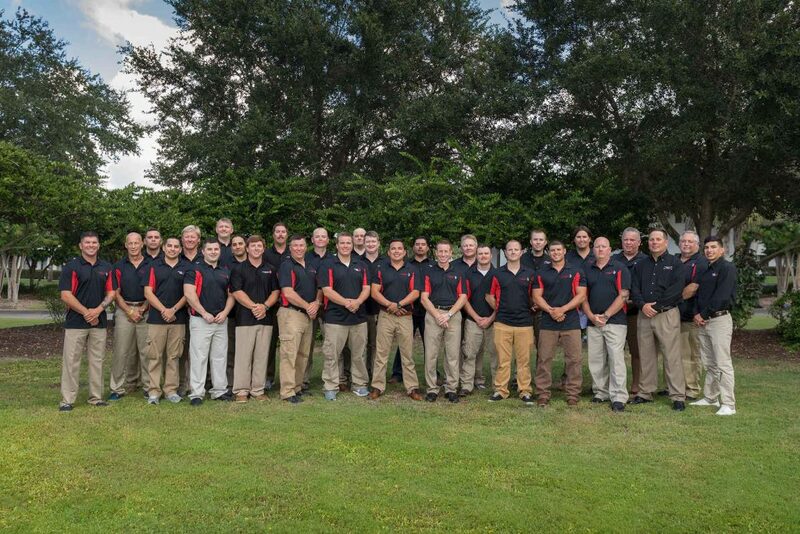 Our staff includes multiple ASNT Level II and III Inspectors who are capable of meeting all of the NDE inspection based condition assessments of your combustion turbines, steam turbines and electric generators. We have extensive borescope inspection experience inspecting the following combustion turbines: GE Frame 5’s, 6&6B’s, 7B’s, 7EA’s, 7FA’s, LM6000’s, Pratt and Whitney FT-4 and FT-8, Westinghouse 191’s, 251’s, 301’s, 501AA’s, 501B’s, 501F’s and D5A’s. We provide services for utilities and OEMs globally. References can be provided upon request. “It was a pleasure working with Guillermo Gonzalez, his skills and attitude really helped us to complete the job on time and with the customer requirements fulfilled in its entirety. Hope to work with you guys in another opportunity. Thank you for the quick report. Thank you and Cody for working with us to get this done through the challenges we encountered. I look forward to working with you and the Advanced Turbine Support team again in the future..
“I just wanted to take a moment to say thank you to everyone at ATS for supporting our Fall outage inspection needs. I appreciate all of your efforts in supporting our schedule and being flexible with some minor changes we had to make. As usual, all members of the inspection team were professional and courteous and were pleasure to work with. Michael, I appreciate you sending the reports in a timely manner. Thanks again and I will be in touch in the near future.